What exactly is doggie daycare? 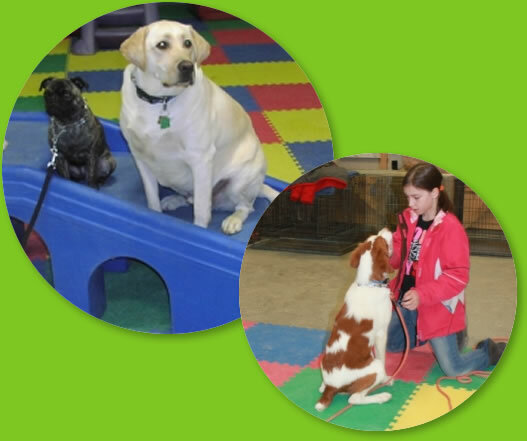 Doggie Daycare is a chance for your dog to socialize and play with other dogs in a structured and safe environment. Daycare gives you dog a chance to do dog stuff all ay while your off doing human stuff. It is a perfect chance for them to learn much needed socialization and pack skills by giving them a chance to interact with multiple people and dogs on a daily basis. How will my dog spend his/her day while at daycare? Your dog will spend the day playing and socializing with other dogs in a structured environment. We have a daily schedule that includes playtime, socialization and naps. Our dogs are separated into groups that are consistent with both size and activity. What are the areas for the dog to play? We have both indoors and outdoors areas complete with everything your pet needs. We have a trained staff the will keep your pet occupied and provide all the exercise and attention they could ever want. What happens if my dog becomes ill or injured? Our staff keeps current on pet first aid with the American red cross and will be able to assess the situation and administer first aid as needed. We will make every attempt to contact you with all available contact numbers and if we are unable to reach you we will contact the emergency contact number listed in your file. If the situation is an emergency we will immediately go to a veterinarian for the health and safety of your dog. Can I bring my dogs bed and toys? We provide toys and beds and if you bring your dogs favorite items here it is likely they will be destroyed by the other guests. It is also likely that your dog will not want to share their toys or bed with others and this may bring up guarding issues that can be avoided simply by leaving their prized possessions at home. Do You Offer Puppy Daycare? Yes, we offer puppy daycare for puppies 8 weeks old and up. Puppies must be current on their distemper / parvo vaccine based on their age and must have their bordetella vaccine. What makes you different from a traditional kennel? What a separates us from a kennel is that our primary focus is on pet comfort not filling runs. A kennel may have lower rates where your dogs will be left in a run with drab brick walls, and a chain link run to the outside. We provide spacious pet suites, with see through area in the doors so your dog will always have a view. Each of our suites is open with lots of light and air flow also it comes complete with a private dog bed. During the day they have a typical day at daycare. Play all day and sleep all night. Why do you charge more than kennels and vets for boarding? We cater to pets comfort, offering modern facilities, individual suites, and your pet socialize with other dogs during the day. We do not charge extra for you providing your own food and treats. 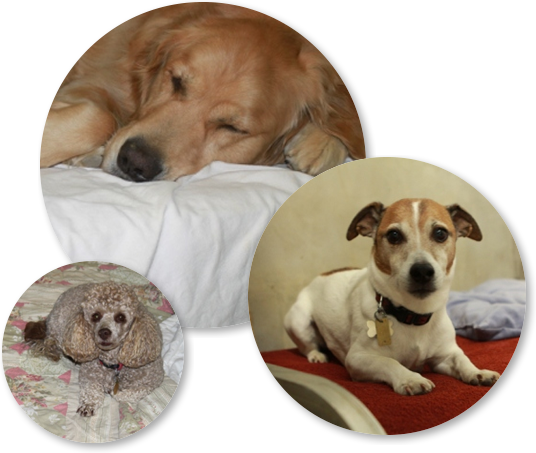 We offer a much happier pet friendly facility. Does anyone stay overnight with my dog? Yes. We have 24 hour staffing to help monitor your kids and ensure their safety and a good time. We recommend 7 days advance notice and 21 days advance for holidays. You may call at anytime to see if we have cancellations, even the same day and we will accommodate you if possible. Can I bring my dog’s bed and toys? Can I bring my own dog food? We prefer that you DO bring your dogs food so they will not have any diet change while you are away. 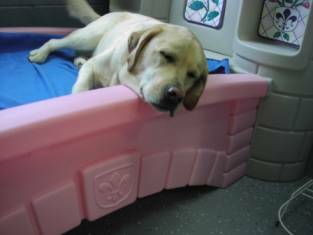 If your dog is not spending the night and is only doing daycare we suggest you feed your dog before and after daycare. Snacks will be provided unless your dog is on a special diet. What is the age limit for the puppy class? How large are your classes? We keep the class small for more personal attention. The maximum number for the classes is 10 students with one teacher and one assistant. The dog wearing a flat or buckle style collar on a standard leash. Please no retractable leashes, they do not provide adequate control for school environment. Something the dog will work for such as treats, ball, or tug toy. Is my dog to old to train? No, dogs can learn new tricks or behaviors at any age. What is the minimum age we should start training? We suggest as soon as you get the dog. You can start good behaviors right from the start. Can my dog attend class when she is in season? No, we can not allow dogs in season to attend class. This will disrupt the class. My dog does not have all the requirements because he is to young. Can he still attend school? Yes, provided he is up to date according to the age of the dog. At Four Paws Playground, your dog gets plenty of socialization playing with both our staff and other dogs. We gently help your dog improve his behavior. Most of all, your dog has fun. Don’t leave your favorite dog home alone. 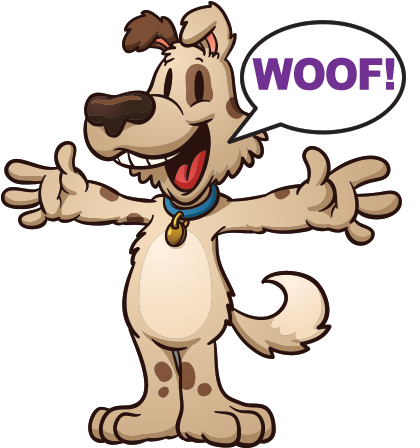 Call Four Paws Playground today to schedule doggie daycare. 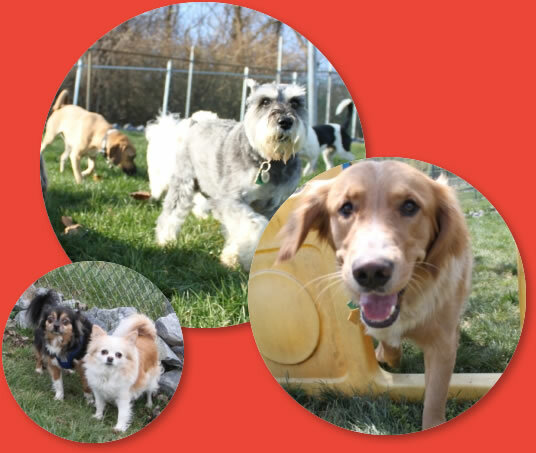 At Four Paws Playground, we think of our crateless boarding as dog camp, an opportunity for your four-legged buddy to make new friends and enjoy romping outdoors supervised by our trained and caring staff. 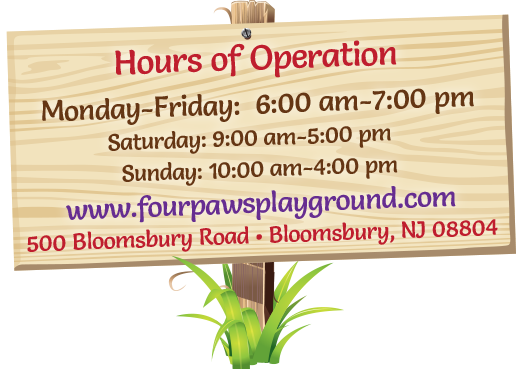 Four Paws Playground is fun for your dog and convenient for you. With our all-inclusive pricing, there are no hidden charges. Best of all, when you are away from home, you know your dog is receiving extra special care. Wednesday is an awesome day for all puppies under the age of 10 months to socialize with other puppies. In addition, the puppies lear to share, come when called off leash, and not to jump on people. They also get to explore and try new things. Come Out and Play at Four Paws Playground!